There are so many different mother’s in our lives that make our lives more beautiful! 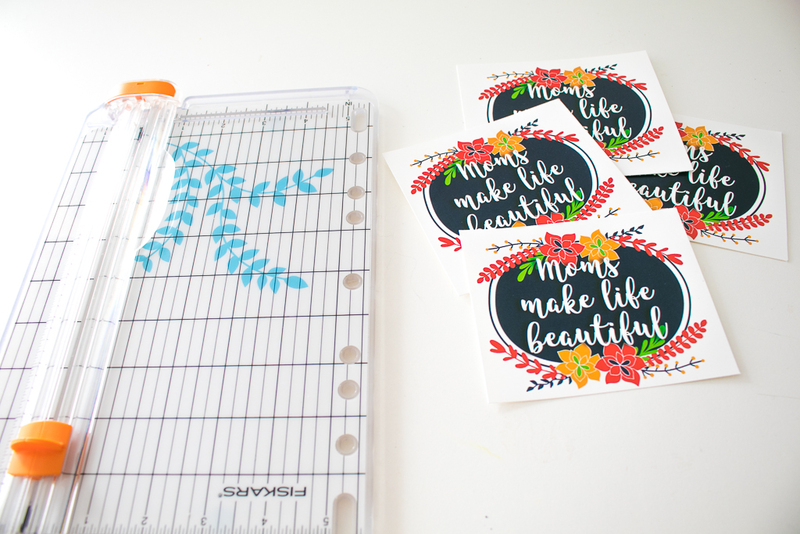 Give a sweet little note letting all of them know how much they brighten your world with this mothers day gift idea for friends. Hi there! Tiffany again from Making the World Cuter here to share a cute Mothers Day gift idea for your friends! There are so many moms in my world that make my life more beautiful, including the three sweet ladies here that I am fortunate enough to call friends! Moms have it tough from the get go, and we all have our hard days that we wouldn’t trade for anything because of all the good days. That’s why it’s important for us to remember that we are all doing great…we may not be perfect, but we are all doing a great job. 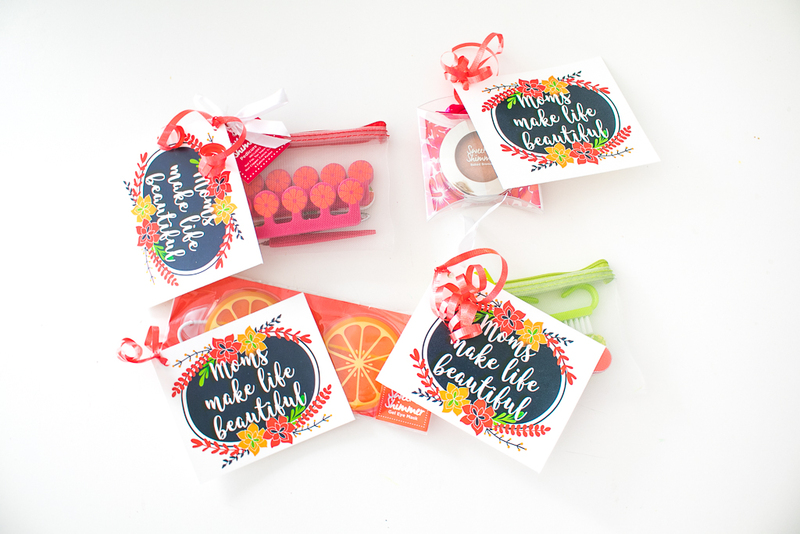 I went to Ulta and found some cute little gifts that are perfect to give to just about any mama. Who doesn’t love a little pampering? 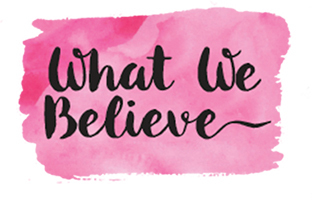 Their Shimmer & Shine summer items were on sale for 5 for $10, and the colors were making me all kinds of happy and ready for spring and summer. 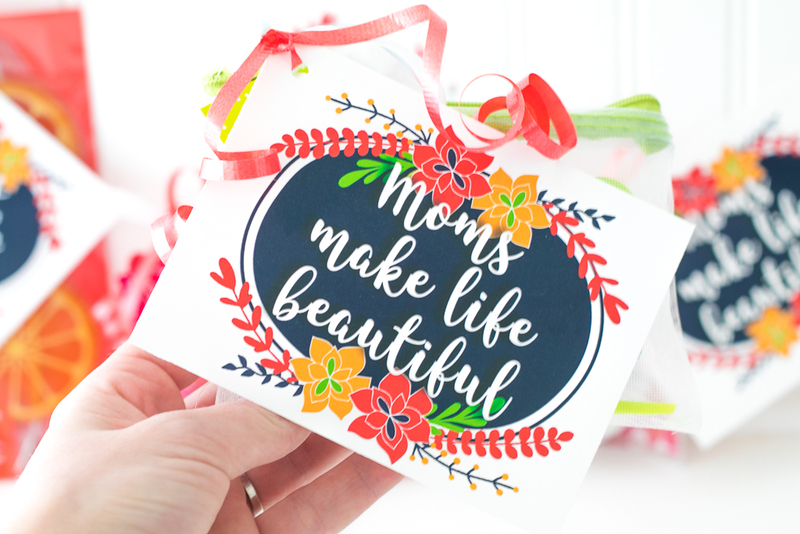 You could also pair these with a gift card to a spa, a pedicure, or for a hair appointment at their favorite salon if you want to give something to your own mama or give a little more substantial gift. 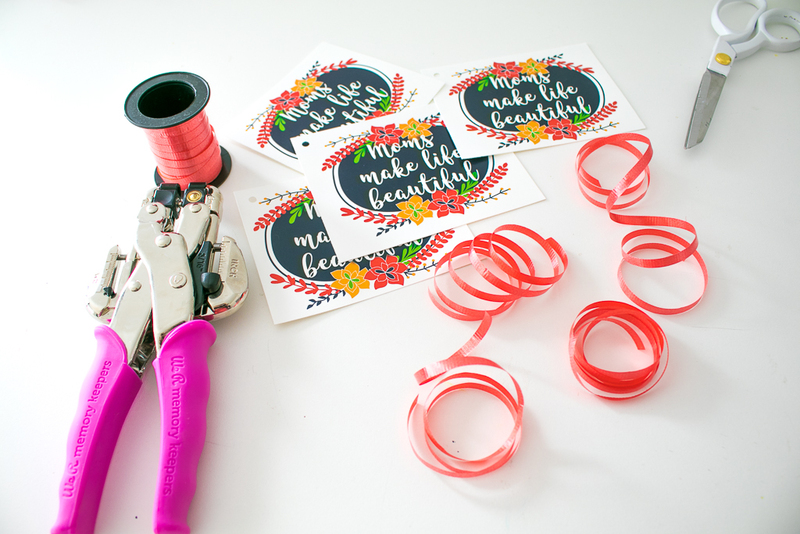 Trim your gift tags down to size using your paper trimmer. Next punch a hole in the corner of each tag and cut strips of ribbon for each tag. 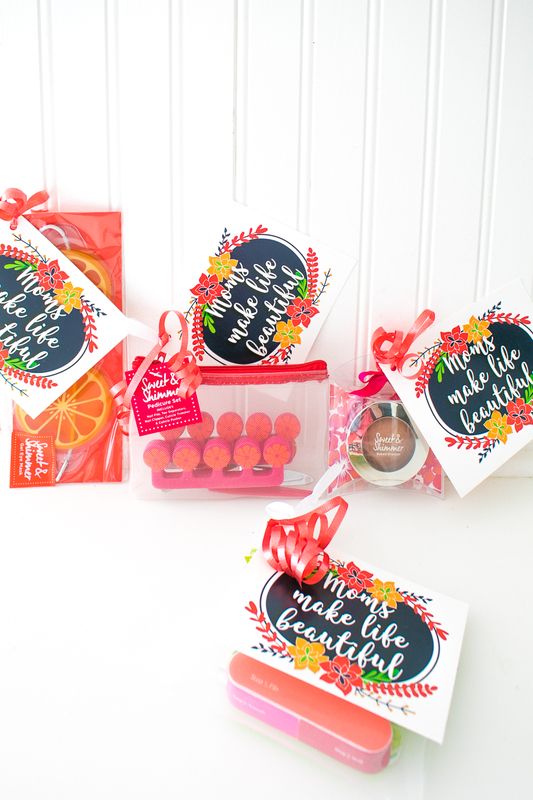 Finally attach the tag to the beauty gifts, write a personal note on the back letting your friends know how they make your life more beautiful. 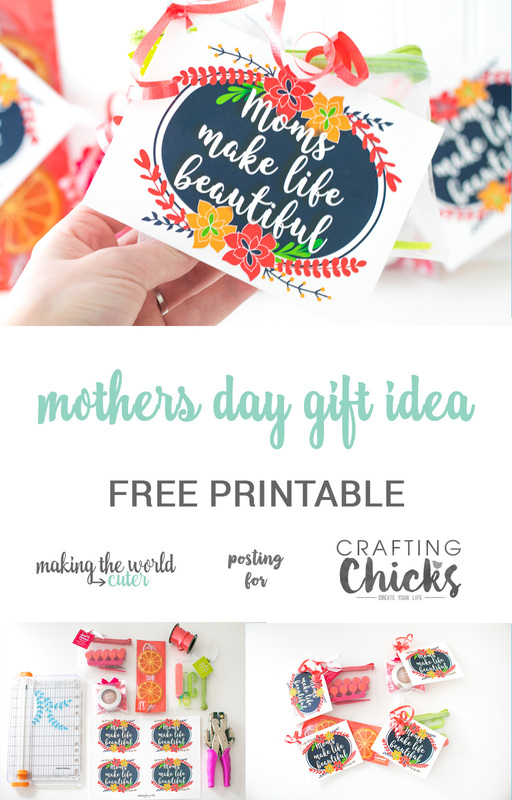 Download and print the Mothers Day Printable, and then be sure to stop by Making the World Cuter for lots more gift ideas and printable cuteness! Tiffany is a mom of four cute kids, and wife to one smokin hot McDreamy man. 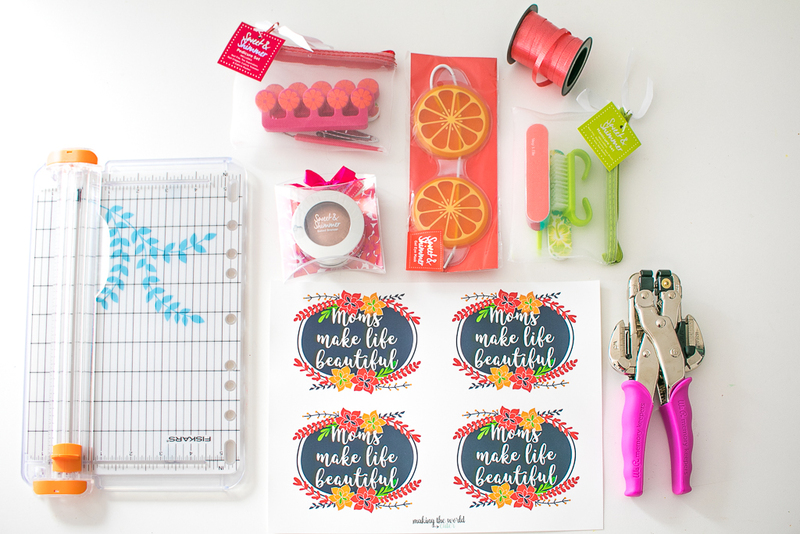 She blogs over at Making the World Cuter, a blog full of cute and easy gift ideas, home decor, printables and more. She's obsessed with the color white, sunshine and kindness. I love your stuff. Just wish there was a “jpg” option for printing. Are you having issues printing?